Pterostilbene is a stilbenoid phytochemical, whose chemical structure is said to be much like that of resveratrol, (the beneficial compound found in red wine) although pterostilbene, unlike resveratrol, contains two extra methoxy groups, which increases bioavailability. Additionally, resveratrol, unlike pterostilbene, cannot be absorbed by the body that well, has a very short half-life (the time it takes for a quantity to reduce to half its original value), easily gets oxidizes when exposed to the air, and easily gets destroyed by the light. Pterostilbene has four times the absorption rate of resveratrol at 80 percent as compared with just 20 percent for resveratrol. 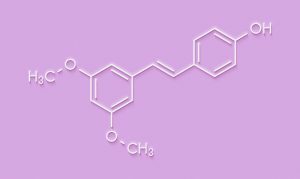 Pterostilbene also has a longer half-life of 105 minutes as compared with the 14 minutes for resveratrol. You can obtain pterostilbene by ingesting blueberries and pterocarpus marsupium heartwood. Blueberries have around 99 nanograms to 520 ng per gram of pterostilbene. Pterostilbene has cancer-fighting elements. It initiates the apoptosis or cell death in carcinogenic cells and boosts the efficacy of the anti-cancer drug tamoxifen, thereby guarding the body against cancers in the breast, colon, lung, and prostate. Pterostilbene has anti-inflammatory properties. It inhibits the activity of prostaglandins, which cause tissue damage or infection and inflammation. It also reduces the amount of neutrophils in the blood. Neutrophils can cause inflammatory effects, like rheumatism, when the body overproduces them. Pterostilbene can regulate blood glucose levels, thus decreasing the risks of incurring diabetes. Recent studies showed that a 20-milligram per kilogram dose of pterostilbene reduced plasma glucose by 42 percent and body weight by 20 percent. Pterostilbene also decreases the volume of glycosylated hemoglobin in the body. Scientists say that pterostilbene’s effects are comparable to the effects of metformin, the first-line medication for treatment of type-2 diabetes. Pterostilbene has antioxidant properties. It lessens dopamine-induced oxidative stress and induces production of reactive-oxygen species. It also heightens the capabilities of antioxidant defense enzymes like superoxide dismutase. Pterostilbene is good for weight-watchers and can boost energy levels. A study that was published in 2016 showed that athletes such as bodybuilders or football players who take pterostilbene supplements with caffeine benefit from increased muscle mass. Pterostilbene is good for the nervous system. It supports antioxidant activity, thereby keeping brain cells healthy and free from disrepair. A diet that is chock-full of pterostilbene can help protect you against cognitive degenerative diseases such as dementia or Alzheimer’s disease. Scientist and researcher James A. Joseph and his colleagues concluded that rats that received a high dose of pterostilbene (25.576 serum levels) performed better when it comes to cognitive exercises as compared with rats that were fed a low dose of pterostilbene (3.951 serum levels). Pterostilbene is good for the cardiovascular system. It inhibits the activity of cell-cycle mediators cyclin-dependent kinase 2 (CDK-2), CDK-4, cyclin D1, cyclin E, proliferating cell nuclear antigen (PCNA), and the Rb/E2F pathway, thereby stopping the development of plaque in the blood vessels, and limiting the risk of heart attack and stroke. It reduces blood pressure, which is good news for people suffering from hypertension. A study that was published in 2014 involved 80 men and women between the ages of 45 and 54 who were suffering from high blood pressure. 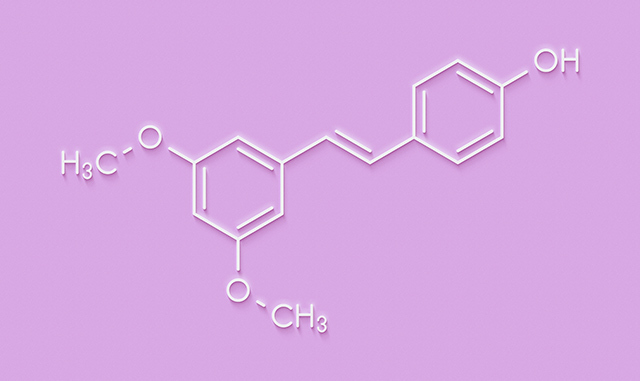 One group was given a dose of 125 mg of pterostilbene twice each day over an eight-week period, while the other group was given a placebo. The patients who were taking pterostilbene reported reduced blood pressure after the end of the study. Pterostilbene is good for the ocular system. It helps treat or delay the onset of age-related eye conditions such as macular degeneration. Pterosilbene is good for the immune system. Pterostilbene is good for the cardiovascular, ocular, and immune systems. Pterostilbene reduces blood pressure, which is good news for people suffering from hypertension. Pterostilbene is good for weight-watchers and can boost energy levels.